This unique ring is crafted out of .925 sterling silver. 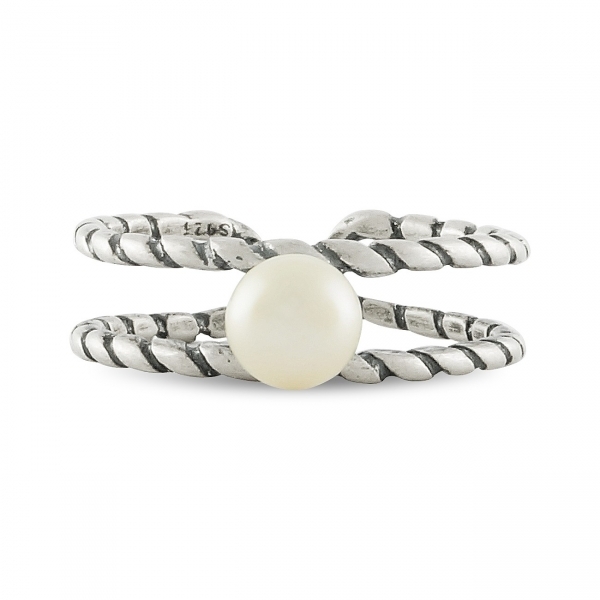 Make a distinctive fashion statement with this modern chic ring. 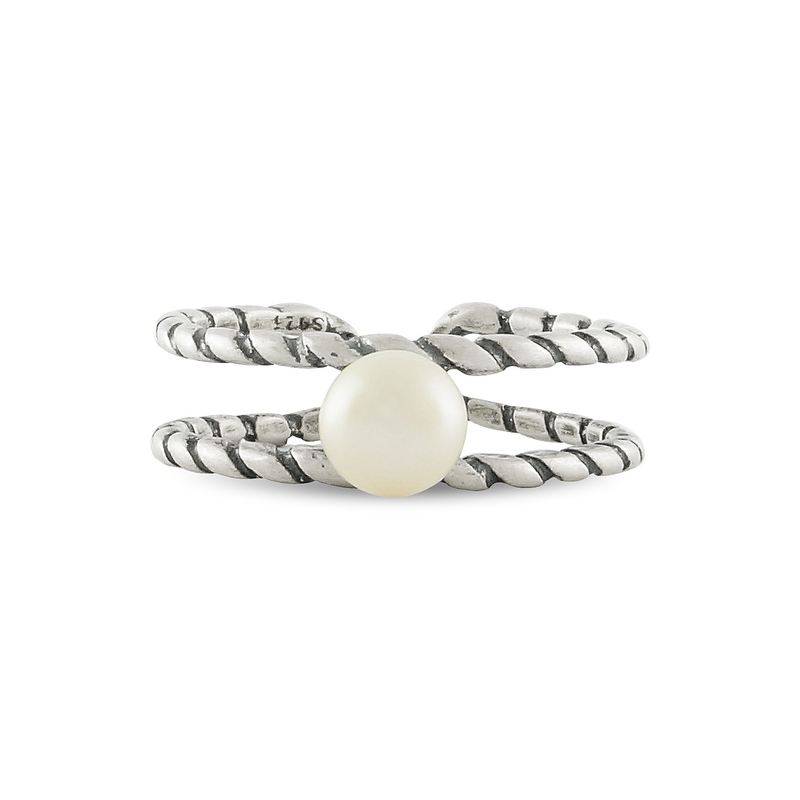 Two spiraling bands wrap around your finger for a fashionable stacked effect, and in the middle is a freshwater pearl that is certain to capture the eye.